Positive—As a Christian, I found the language and sexual content offensive. However, being Black, female and overweight forces me to identify with the story that is being told. Our bodies are a gift from God, and carrying too much weight is sinful. However, obsessing about aesthetic beauty to the extent that we judge, criticize and relentlessly humiliate overweight people is also sinful. Perhaps if we expressed Christian love towards people, they would want to change for the better. Positive—…in my opinion, this film includes crude sexual rerferences, but it can make people who consider themself so ugly because they are fat, feel good and also make them to high self esteem. Maybe some of people don`t agree with me, but others know how much cost to reduce fat by taking medecines that in most of cases don`t help to get size 5, as Monique says in that film. I say it because I am one of those people. Finally, I also like this film because it includes the religious parts and and this is what I always do… pray to mighty God to make this dream come true. Negative—…The movie had a abundance of curse words and also very sexual scenes that had me repenting for taking my daughter to see it. Negative—This girl is fat. That’s what the movie is about. And you’re reminded of it every 10 seconds. 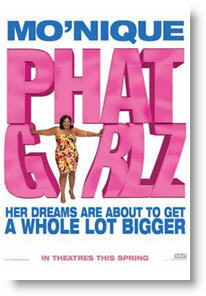 This movie promotes gluttony, and I was offended by it because the body is a gift from god that should be taken care of. This movie is a waste of money. Positive—This movie was awesome. I went with my friends to see it; we all liked it. There was a lot of language, but I recommend it. There is sexual content in this movie, but it was okay.